When Vic Fangio was named defensive coordinator of the Chicago Bears in 2015, he took the helm of a ship that was essentially already at the bottom of the ocean. Not only were the Bears mired in a four-season playoff drought, but Chicago was also coming off consecutive seasons in which it fielded arguably the worst defense in franchise history. “We obviously aren’t a good team,” defensive end Jared Allen succinctly put it in 2014 after the Bears allowed consecutive opponents to pile up 50-plus points, a feat that had no precedent in modern professional football. Now, Chicago is under the direction of head coach Matt Nagy, atop the NFC North and in the midst of a three-game winning streak for the first time since the beginning of the 2013 season. But seemingly all anyone can talk about is Fangio’s defense. In its most recent victory, Chicago dismantled Tampa Bay’s then-league-best offense in a 48-10 bloodletting. Chicago’s front seven had Ryan Fitzpatrick and Jameis Winston, who made his season debut, running toward the nearest airport. Fitzpatrick and Winston haven’t been Chicago’s only victims, though. When it comes to getting at the quarterback, the Bears are off to the third-best start in franchise history. Even though the team had a bye in Week 5, its 18 sacks rank second in the league, one shy of the Pittsburgh Steelers’ 19. One-fourth of Chicago’s 16 best single-game sack performances since 2015 came in the first four weeks of this season. At 4.5 sacks per contest so far, Chicago is on pace to tie the NFL single-season sack record of 72, a record the Bears set in 1984. Chicago’s 11.6 percent sack rate1 is 1.5 percentage points ahead of the next-best team. 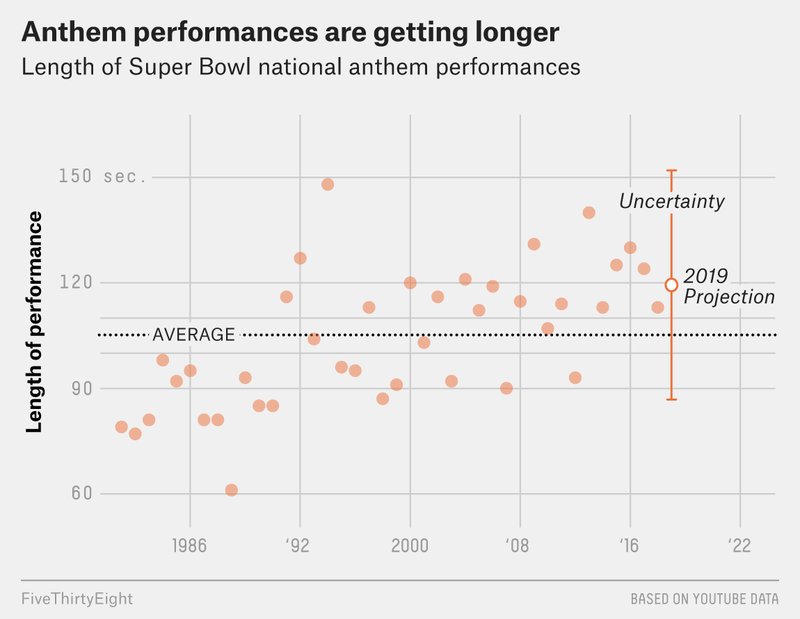 If the Bears can maintain that pace, they would set the the fifth-best mark since 1980, according to Pro-Football-Reference.com. Chicago’s defense is collapsing the pocket better than perhaps any team. 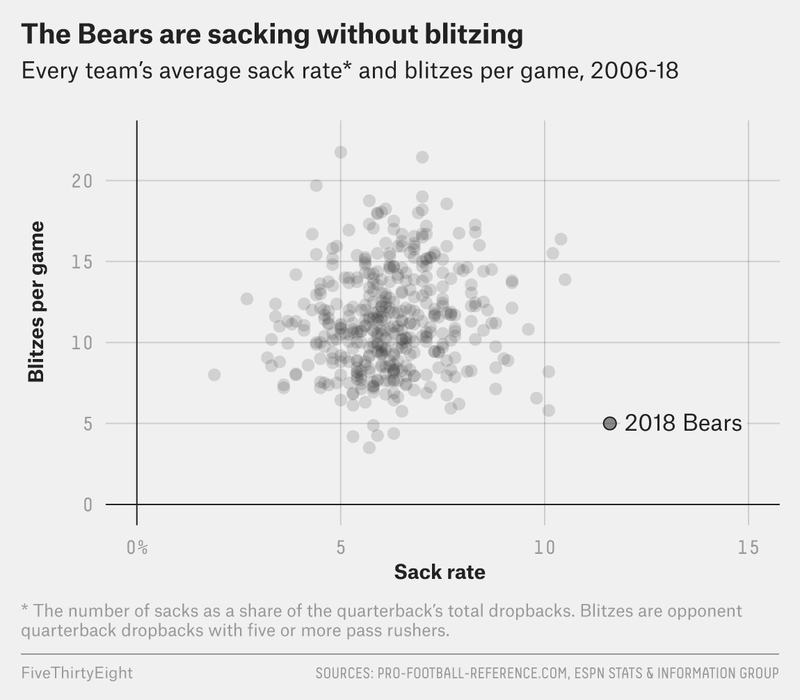 But here’s the remarkable thing about the Bears: They are racking up the sacks despite hardly blitzing. The Bears rank last in the league in blitzing, defined as sending five or more pass rushers at a quarterback who’s dropping back to throw, with 5.0 per contest, according to data from ESPN Stats & Information Group. If Chicago maintained its blitz average for the rest of the season, it would be the sixth-lowest rate since 2006, the first year for which data is available. This is in no small part a function of the Bears’ new $141 million linebacker. Khalil Mack, who became the highest paid defensive player in NFL history after the Bears traded for him last month, is tied for fifth in the NFL in sacks (five) and tied for first in forced fumbles (four). In terms of pressure applied, Mack is ahead of the pace he set in 2016 when he was named defensive player of the year. In Week 3 of this season, during the Bears’ 16-14 win over Arizona, the Cardinals went as far as tasking three men with containing Mack. Late in the second quarter, after Mack beat every last one of those Cardinals, his teammate Akiem Hicks swooped in for the sack. Mack is not only a transcendent talent capable of getting to the quarterback on seemingly every snap; his play has also raised the performance of his teammates. Mack, Hicks, Danny Trevathan, Aaron Lynch and Roy Robertson-Harris have accounted for at least 1.5 sacks apiece this season. “Those boys inside can raise so much hell, it’s outrageous,” said hell-raiser Richard Dent, a Hall of Fame defensive end and a member of the vaunted 1985-86 Bears defense, in an interview with The Athletic. Blitzing requires a defensive player to eschew coverage in favor of pressure. Like so many other aspects of football, the blitz is a risk-reward proposition. 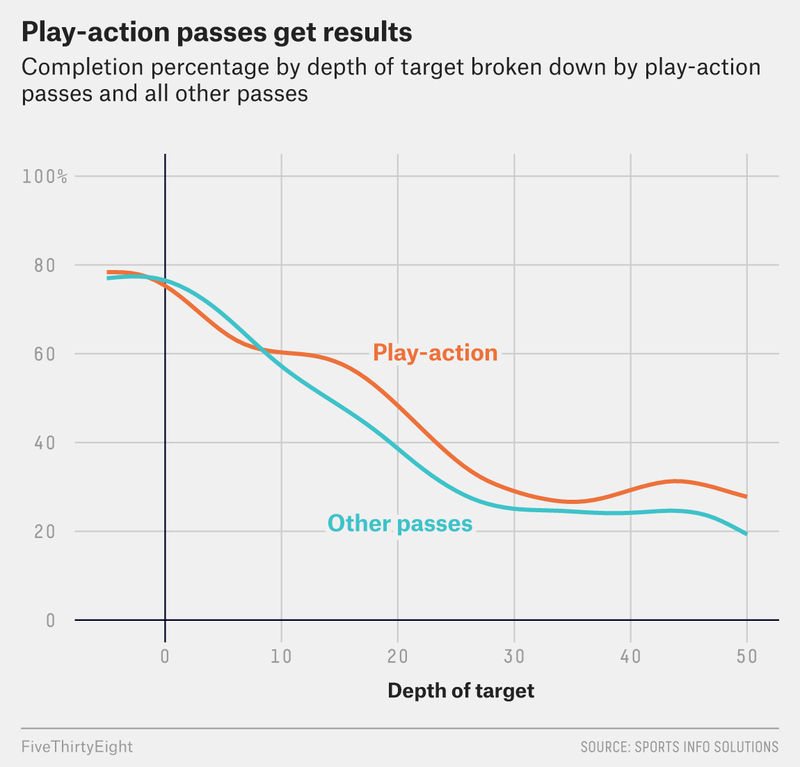 Get to the quarterback quickly enough, and the play is over — and you may have even created a takeaway. Get to the quarterback a step late, and he will likely find a target in the hole you’ve left. Leaguewide, blitzing is trending down, largely because the game has gotten faster and offensive efficiency continues to skyrocket. It seems that defensive coordinators are content to send fewer pass rushers at the quarterback and instead rely on their secondary in coverage. In four consecutive seasons, the number of blitzes faced by quarterbacks has dropped, according to data from ESPN Stats & Information. 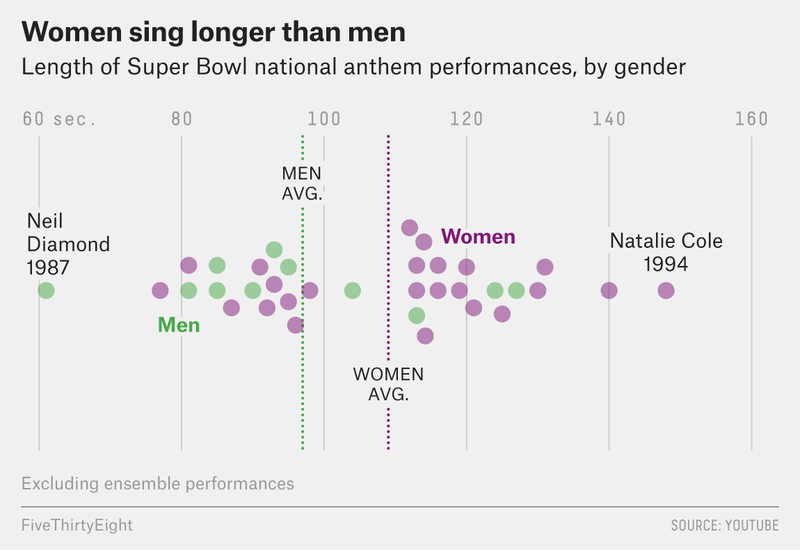 Opposing quarterbacks saw a 17 percent decrease from 2013 to 2017 in total five-man blitzes. 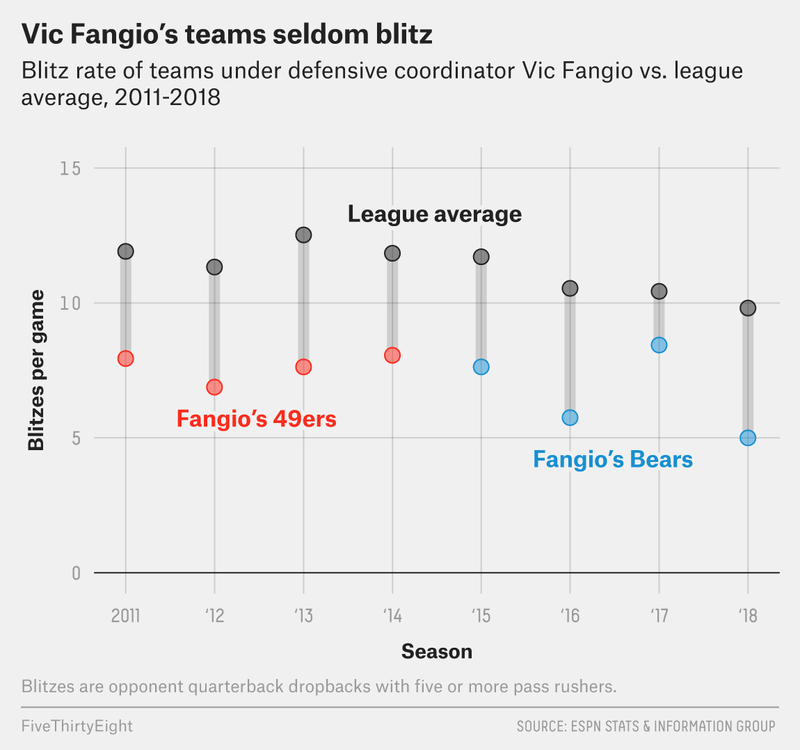 Long a proponent of blitz-scarce schemes, Fangio oversees an optimal situation in Chicago, where the Bears largely abstain from blitzing — yet they still manage to get to the quarterback. Fangio was well ahead of the trend of blitz-less defenses. 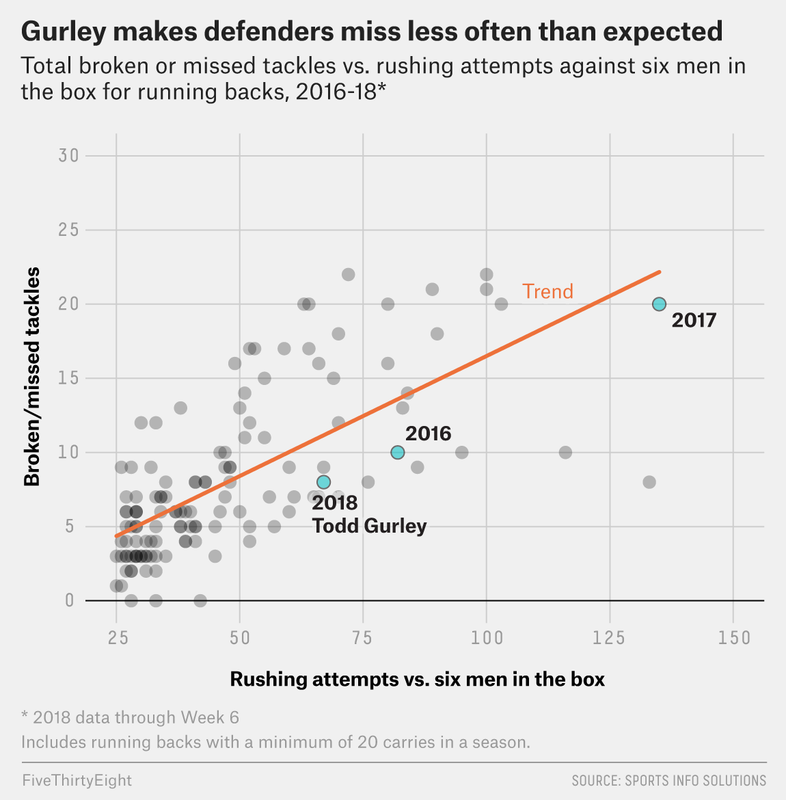 He has held an NFL defensive coordinator role each season since 2011, when he took that job with the San Francisco 49ers, and over that stretch, his defenses have always been among the league’s most blitz-reluctant outfits. Other teams have used this formula before. Most notably, Jacksonville last season was able to get to the AFC championship game and field one of the best defenses in football while ranking second in sacks and last in blitzes. Chicago’s defense is 7.6 points better than average this season, according to Pro-Football-Reference’s Defensive Simple Rating System. That’s the franchise’s best mark since the 1985 and 1986 campaigns, when the Bears went a combined 29-3 and won a Super Bowl. Blitz-less defenses aren’t always dominant; the 2006 Indianapolis Colts blitzed the least of any team for which data is available and were the fourth-worst defense in the AFC. But Chicago’s defense is dominating, leading the league in Football Outsiders’ Defense-adjusted Value Over Average,2 while ranking no lower than third in pass and rush defense. This weekend, Chicago travels to Miami to take on a Dolphins outfit missing several offensive linemen, setting the stage for more defensive highlights from the Bears. A franchise long synonymous with hard-nosed defense and strong play from the linebacker corps has re-established its identity under Fangio.